Save up to 70% on costs by adding AEOS Locker Management to AEOS Access Control. Flexible, secure storage is a critical part of any flexible working strategy today. 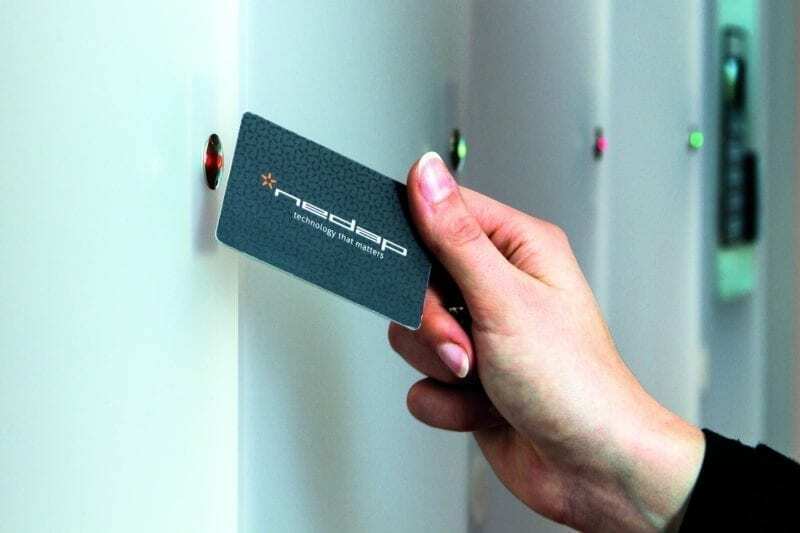 We can help you with secure, dynamic locker management. In AEOS, people can operate locker doors with the same badge that they use to access the building. 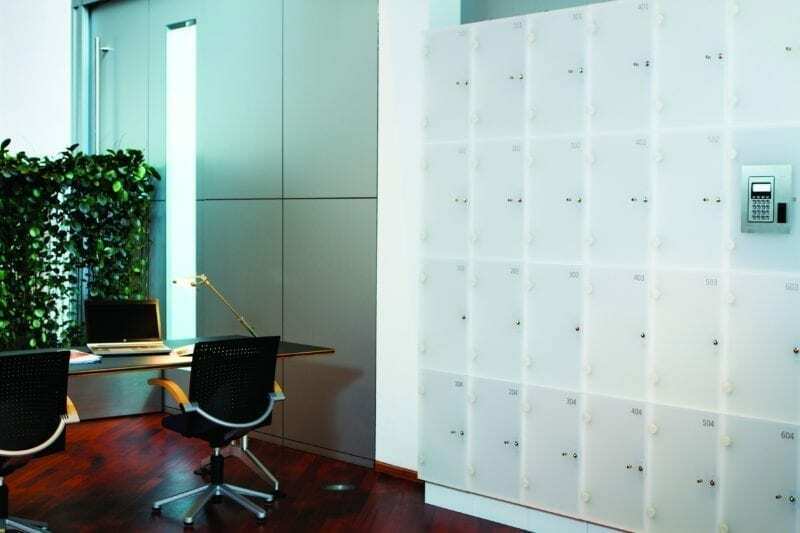 So, even if you have a high flow of people, you can use your lockers in a very flexible way..
No batteries, no key management and no more replacing locks. Just hold your badge to the locker door to open or lock it. Manage lockers centrally via a web interface, even from a mobile phone. Get the proven security of AEOS access control and be alerted if there’s misuse. You may need up to 70% fewer lockers, which adds up to a big cost reduction. AEOS lets you manage access to all locations in your office buildings – from lockers to post boxes, cabinet doors and more. Dynamic locker management with AEOS means you don’t need a separate locker for each employee. You decide who uses a short-term locker and who has a permanent locker so you can make optimal use of the available space.